What an episode! In addition to having the second longest episode title in franchise history (“For the World is Hollow and I Have Touched the Sky” has it beat by two words), “The Butcher’s Knife Cares Not for the Lamb’s Cry” is possibly the most Star Trek-iest episode of Discovery yet. Well, there is one. L’Rell (Mary Chieffo, who is owning this role) states that they ate Captain Georgiou. 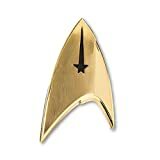 The Klingons never took me as a race that would eat their foe’s dead, but it was established that they were low on food, so I’ll let it slide. This does, however, seem to negate the return of Michelle Yeoh, despite what she said at NYCC unless its more holographic messages and/or flashbacks. Keeping with the Klingons, Voq (Javid Iqbal) is trying to keep order while affecting repairs to the sarcophagus ship and, in desperation and with L’Rell’s urging, takes a dilithium processor from the now abandoned Shenzhou. While they do so, Kol (Kenneth Mitchell) uses food to turn T’Kuvma’s crew against Voq, which he does to steal that ships clocking technology. 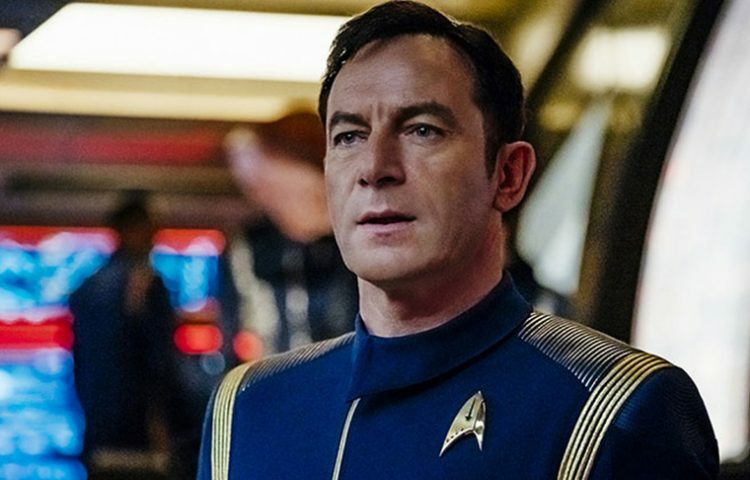 This creates an interesting parallel between him and Captain Lorca (Jason Isaacs): both are using new/experimental technology to help gain an advantage in the war, and will seemingly do anything to accomplish their goals. It is also revealed that Kol is in House Kor, a reference to the first ever Klingon, played brilliantly by the late John Colicos in “Errand of Mercy” and three amazing episodes of DS9. 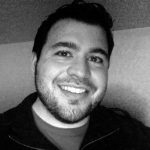 Could a young Kor be in the show’s future? 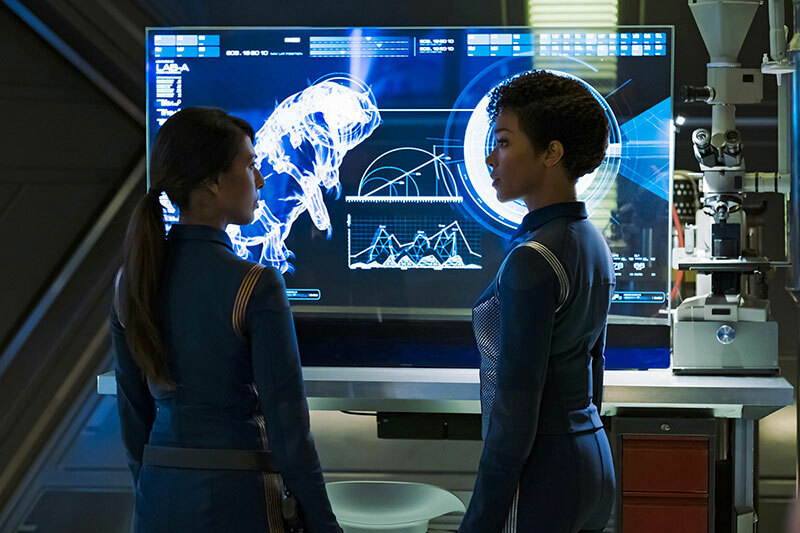 Onboard Discovery, Lorca tasks Landry (Rekha Sharma) and Burnham (Sonequa Martin-Green) with studying the creature — which they name Ripper — found aboard the Glenn and figuring out how it was able to take out a dozen or so Klingons with ease. Burnham takes the tried and true Star Trek route of trying to understand the creature first, while Landry wants results quicker. The latter attempts to cut off Ripper’s claws and is shockingly killed in the process (a shame because Sharma was effortless in that role and she will be missed). 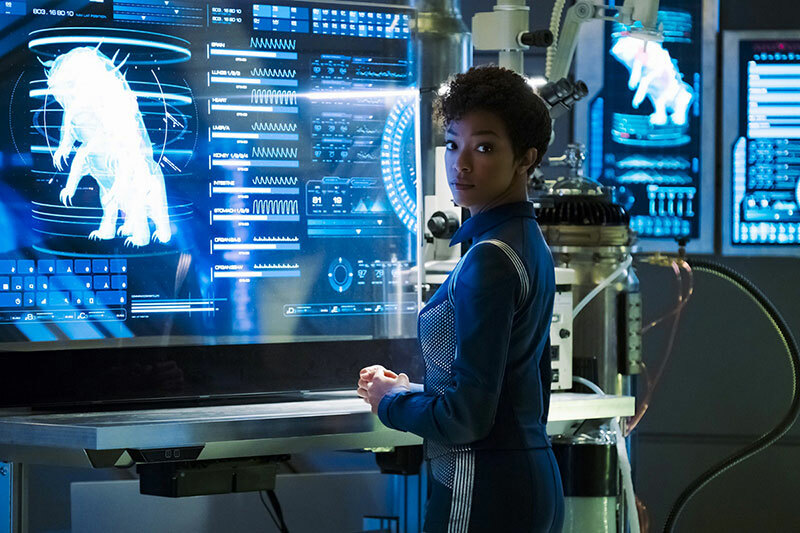 Without Landry looking over her shoulder, Burnham continues her research and is able to determine that Ripper is not a predator, but a creature that has a symbiotic partnership with the spores used in Discovery’s experimental drive. Using equipment salvaged from the Glenn, her and Stamets (Anthony Rapp) are able to use Ripper to make the drive finally work, just in time to save a Federation dilithium mining settlement from a Klingon siege. Martin-Green continues to amaze as Burnham. Her non-verbal scene while watching Georgiou’s will was particularly impressive. All the other actors are settling into their roles nicely, especially Rapp, as Stamets seems to soften throughout this episode. All in all, a great episode that finally feels like Star Trek without any caveats. 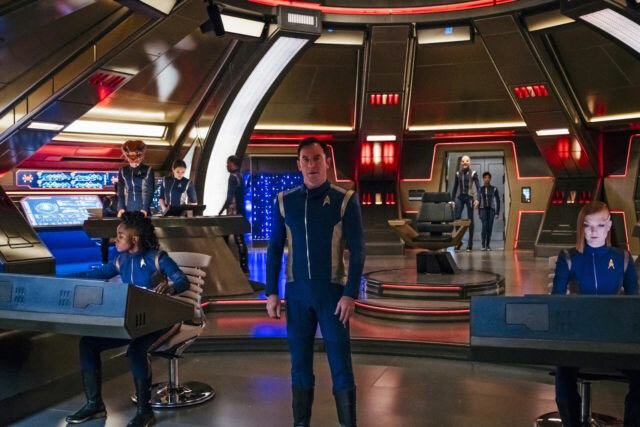 What did you think of the fourth episode of Star Trek: Discovery? Share your thoughts in the comments below.